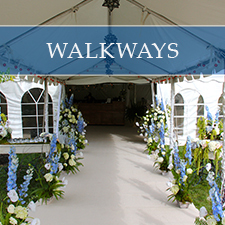 Tents do much more than weatherproof your wedding or special event. They can set the scene or be a one-of-a-kind backdrop to an unforgettable affair. 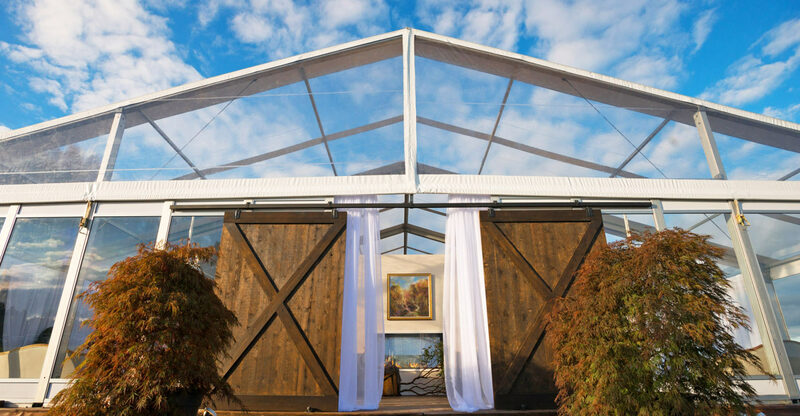 All Season & Hank Parker's Party & Tent Rental in Rochester & Buffalo, New York has one of the most impressive selection of tent rentals in New York. We have tents of all shapes and sizes to fit any venue. Gaze at New York's fall foliage - or perhaps at the stars- through a clear top tent. Provide some shade during your summer party with a canopy tent. 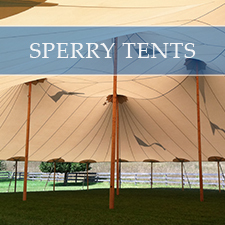 Whether you need a frame tent, Sperry sail cloth tent, clear top tent, Clearspan tent, structure tent or pole/stake tent, we transform your space with each and every tent peak. 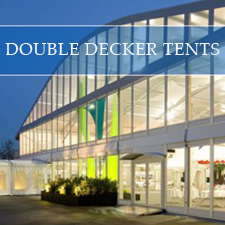 From walkways to double decker tents, we have it all. Your wedding tent rental choices are nearly unlimited. 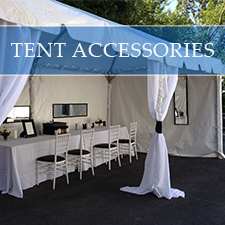 We also have a vast array of tent accessories including French doors, French windowed sidewalls, tent liners, elegant tent carpeting, dance floors and rain gutters to prepare your event for anything Mother Nature - or your guests - throw your way. We make sure you're satisfied with your New York tent rental anywhere and visit your venue to help with the planning process. 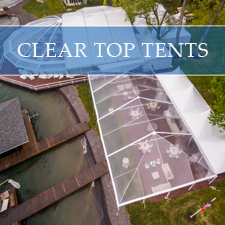 Professional Rental Consultation: Our knowledgeable consultants are available to help you choose the tent you need. Site Assessment: Even though we have been setting up our rental tents in New York State for decades, there are still some locations we haven't seen. 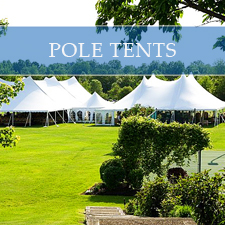 We gladly evaluate your venue to make sure you have the right tent for the setting. Delivery and Pickup Services: Our trained staff understands how important your event is for you, ensuring that your tent arrives on time and is set up professionally - every time. 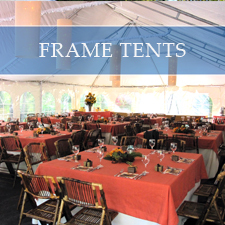 Tent Rental Support: Our staff is happy to provide clear and concise instruction on how to use our rental party tents. We add a unique element to any event. With more than four decades of experience, our proficient staff can help you customize a distinguished look for your wedding, corporate event or special celebration. Digital Printing: Customize your event with digital printing and signage! Professional Rental Consultation: Our knowledgeable consultants are available to help you choose the items you need. They will help you navigate through the literally thousands of items we have available for rent. Don't forget, special requests are our business, so don't be afraid to ask. Wherever you plan to pitch your tent, with Western New York locations in Buffalo and Rochester, All Season & Hank Parker's Party & Tent Rental is the ideal partner for all your wedding or party tent rental needs in New York state. However, our tent rental services extend beyond New York, from Toronto to Orlando. Regardless of where you're planning your event, we can make your vision comes to life with our extensive party tent inventory. 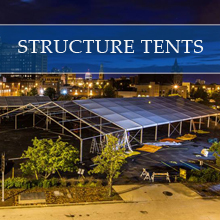 Click on our tent categories above to see more specific tent options. You can also call or visit our showrooms today to check out our tents first hand!